UCCFS Round 4: Chicken Wings (1) vs Nachos (2) – I Love It Spicy! The Ultimate Chilehead Comfort Food Showdown is winding down as we are 1/2 way to the Fiery Four. This is our first of two battles between # 1 & 2 seeds. In the number 1 spot and serious contender from the out start is number 1 seed Chicken Wings. Many chileheads, including yours truly, got their introduction into spicy food with the chicken wing. So many great sauces out there, and whether it is traditional Buffalo flavor or not, these mouth-watering morsels and finger food at the pinnacle. You might see some eat certain finger foods with a fork, but the chicken wing is 1 one you have to get down and dirty with. Speaking on down and dirty, number 2 seed, Nachos is piles of messy fun. It might start out as a visual pleasing form, but once attacked it looks more like a police investigation. What kind of food can’t you add atop the nacho chips? This is the comfort food that allows each one of us to create our own art form. Scatter the chips on the plate and pick your poison to lay over them. This is a traditional Mexican-style dish, but I have seen Italian, Greek, Asian, BBQ and Vegetarian concoctions that were good as well. While the Chicken Wing is simple in comparison to Nachos there is no debate why there is so much love in the chilehead community for them. Please share your thoughts why you voted for which comfort food. Thanks! You know I thought my vote would be to the chicken wings, but the more I think about nachos, the harder it is for me to decide. I can’t pick! Yep, this was tough. 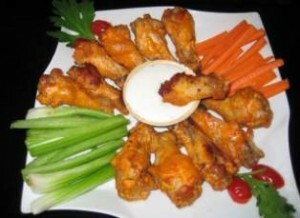 But wings are a “go to” treat for me, and they can be prepared in so many different flavors and styles. These are getting tougher and tougher! Wings for me. Dang! I can’t vote twice! Wings! But yeah, this is getting harder considering we go nuts for my Late Night Nachos. wings. 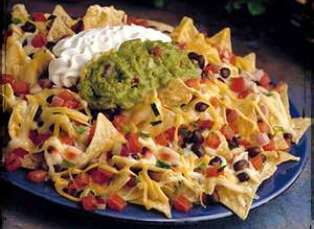 love them nachos but they dont give me the warm fuzzy feelins.